The Internet has spawned its own jargon. One of these is the word ‘Fail’ attached as critique to a thought or an image. The classic is the image of a container ship running aground, boxes awry, with the words ‘Shipment Fail’ emblazoned on it. It originated from people poking fun at a late 90’s Japanese video game that used the phrase ‘You Fail It’ as a game over message. It has now become a way to simply interject disdain, without having to explain anything, while nudging and pointing at an unfortunate scene. The anonymity of the Internet sometimes encourages the worst of humanity, allowing one to mock the Anonymous Other without the moderating influence of having to do it in their presence. In other words, I love it!! Let’s get started! Here is a litany of unfortunate scenes in my kitchen this month, for the IMK party hosted at the lovely Fig Jam and Lime Cordial blog. Starving for an eggless omelette made from chickpea flour, but really, starving in general, I brusquely threw some flour in with some water and neglected to measure amounts. Who needs to measure stuff when one’s instinct is so fine-tuned, I thought. Well, the batter was too wet; it wouldn’t set on the stovetop; so I popped it under the broiler for a few, forgetting that plastic and broiler don’t go well together. Result: flames (I apologize I couldn’t take pictures of the flames, since I was too busy dousing them); and next, ashes. 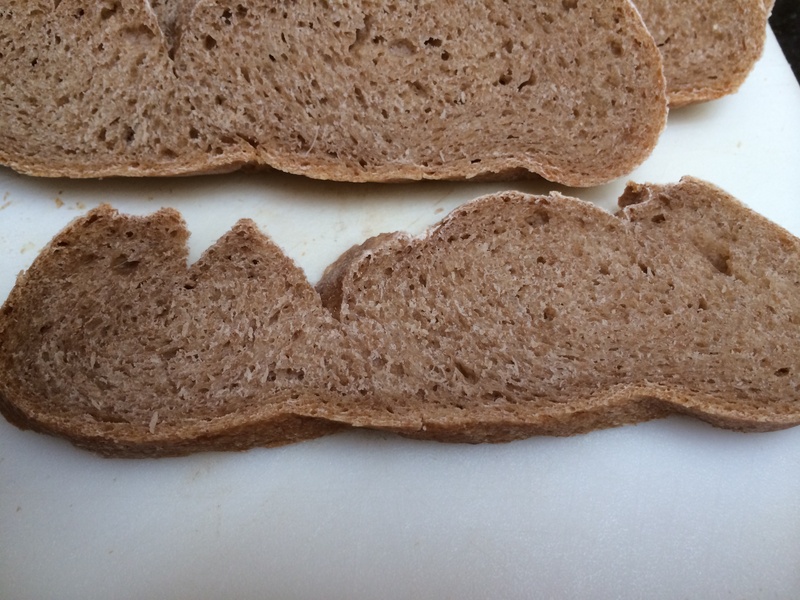 I usually shape the loaf and score it just fine. This time I tried a new method of shaping that involved making a sort of purse with infinitely rolled in edges. Well, you see the result. The process of baking made this loaf sort of explode from the inside and spill all its guts out. Still tasted fine, though. 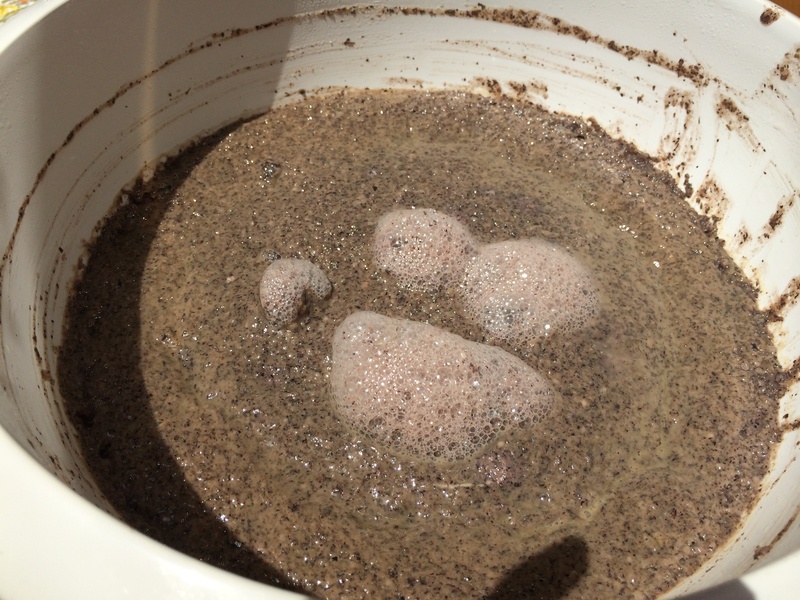 Dosa batter is risen with the wild lactic acid bacteria found on the beans. 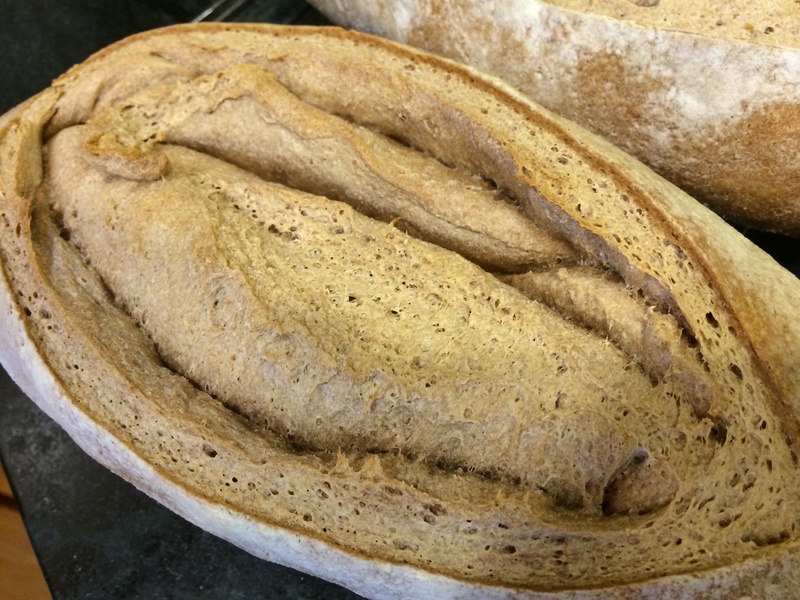 While sourdough bread is risen with a culture of wild yeasts and lactic acid bacteria. 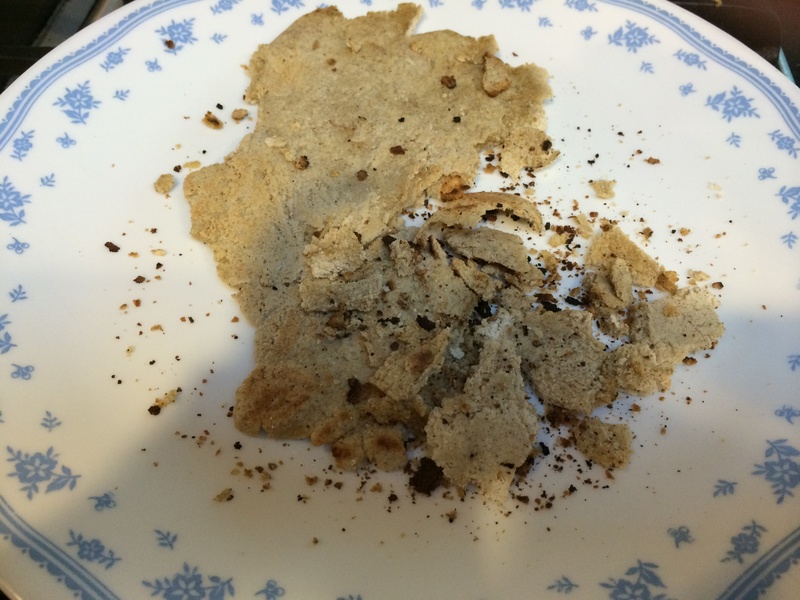 Slight difference; so shouldn’t sourdough starter work on dosa batter? Well, you can’t reason with the microbes, I found. I tried this experiment, and yes, there was rising activity; but here is what I found. Bubbles arose within a day. But instead of bubbles foaming nicely everywhere, they seemed to explode out of the middle, as you can see. It smelled nicely sour, but perhaps a bit too sour? Still hopeful, I tried making crepes (dosas) and cakes (idlis) with it. That’s when I realized what had happened: there had been so much microbial activity that the thing was as sour as a lemon and all the bubbles had foamed up and gone, so instead of a nicely risen idli, I got a flat goo. Unfortunate. Note: This was supposed to be my entry for the first ever Novice Gardener challenge at the lovely blogger Angie’s place. 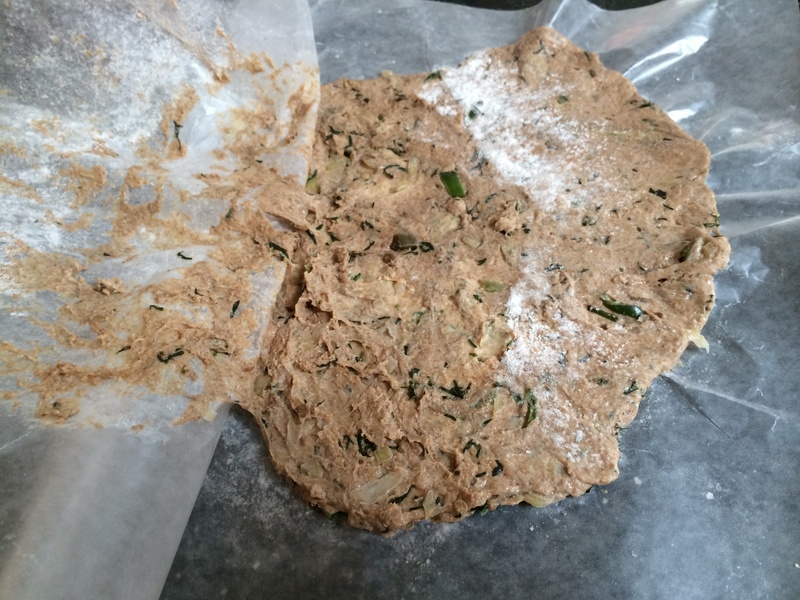 The rules stated it must use yeast and herbs. I used both; consider this my late, rueful, tail-between-my-legs entry. I have been doing this for years, you would think I would have figured it out. While making this weekend staple breakfast from my childhood, I found that the dough had turned out a little too sticky. Instead of doing the smart thing and adding more flour, I thought I would try rolling it out between waxed paper sheets. This is the sort of thing that is supposed to work, right? Well I did get the dough rolled into a nice flat circle, but when I tried to peel the waxed paper off, I realized that the two sheets of paper and my dough circle had fused together into a single mass, and there was no separating them, under pain of death. You can see what happened — the paper ripped apart rather than let go. I had a miserable breakfast. 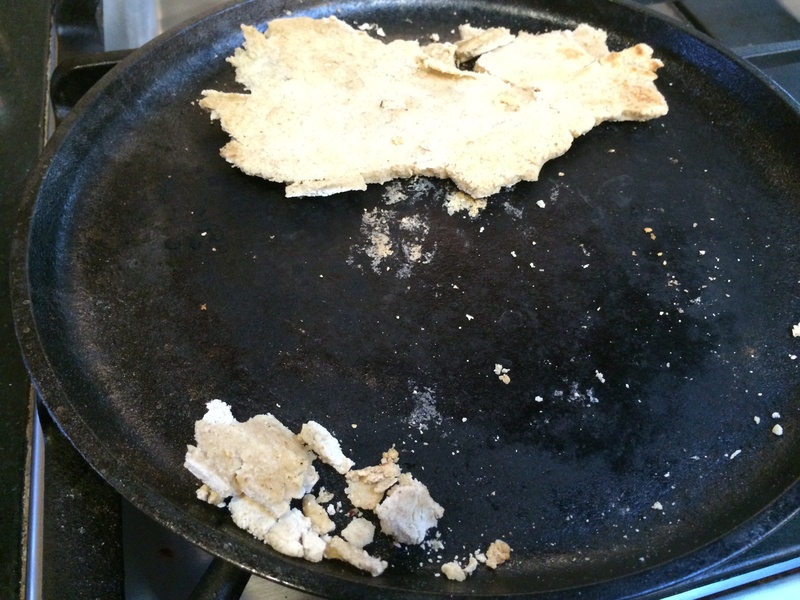 Sorghum flatbread that WILL NOT hold together. 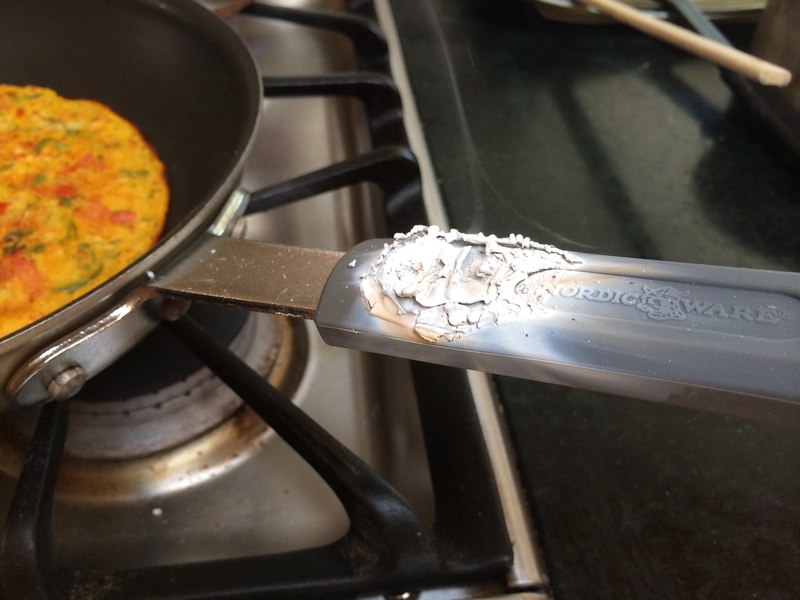 Falls apart more while on griddle. 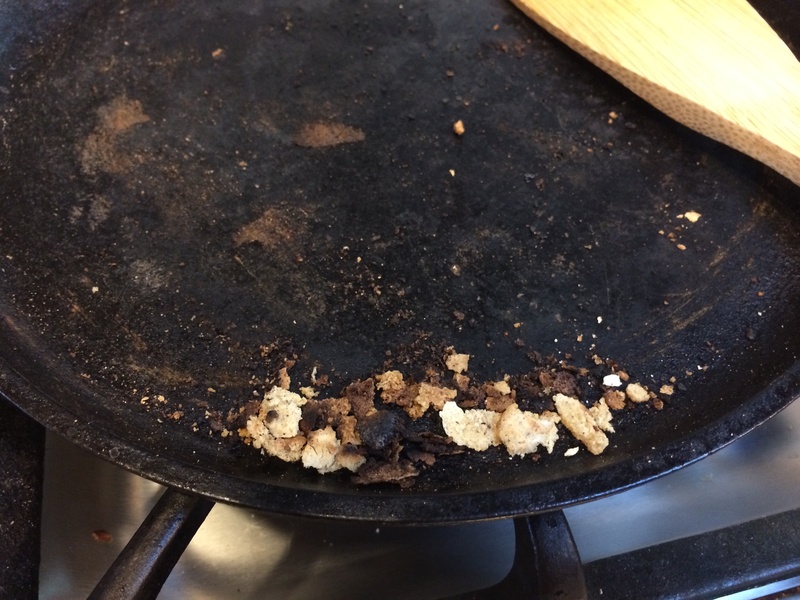 I am concerned that they may take away my Indian Food Blogger card if I admit this; but I am a disaster at making gluten-free rolled out flatbreads. The other day I tried doing this with sorghum (jowar). Sorghum has no gluten. Gluten is what holds bread together and allows it to be rolled out. How on earth is one supposed to do this? Other food bloggers seem to have no problem with it. There must be a secret Twitter group that I don’t belong to where they dispense these secrets. 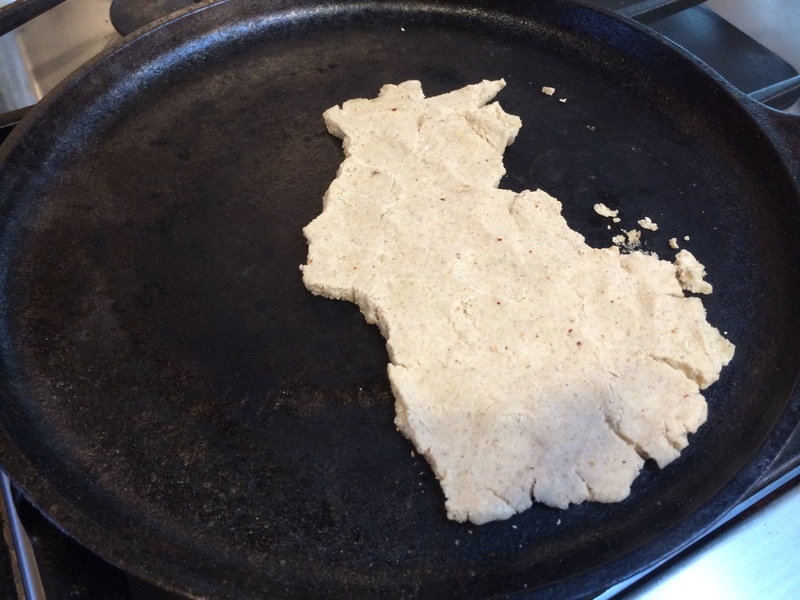 Here’s a blogger (Chef Divya) doing a millet flatbead. Here is a blogger (Food Flavor Fascination) doing a sorghum one. And look what I got. Urrgh. ← I’m no pastry chef, but look, chocolate cake! Oh that is a relief to hear Apsara, so I’m not the only one! I will try your trick. Hahahahahahahahaha Thank you SO much for all this healing laughter. What a wonderful post. On top of all your talents you are a brilliant humourist, Aneela. Even the timing of your graphics and layout…. We’ve all been there! Well, at least I have. It is great you sound very positive and cheerful in spite of all those FAILS. Lessons learned and really wonderful to find someone who has a brilliant self-deprecating sense of humour. I think that kneading (as apsara mentioned above) is the key to getting those gluten free flatbreads to work – that and getting the right amount of hydration. So kneading is the key? I sort of gave up on it since it seemed to be doing nothing. I have to give it another try. Yes — cooking is fun because it is a process of discovery and it’s all fun, failures or not. I can tell you though I was not pleased to deprived of my breakfast that time! Yes…I thought it was time to show the dark side of food blogs! Brilliant Aneela, THE best cooking lessons, and rest assured we have all been there. Anyone who says they haven’t doesn’t really cook! I only ever but pans with metal handles now. I melted countless plastic handles under the grill and in the oven. I forgot the time I had yogurt setting in the oven in a plastic tub and I turned the oven on…that was a bad disaster and wasted a lot of milk too. Live and learn, now I use glass tubs…. Haha, I’ve had a yoghurt exploding experience too!! Haven’t made it since, must right that! Thanks for making us remember we aren´t perfect cooks!!!!!!!!! Aneela you are hilarious..i was literally roflmao-ing lol luv ya 😘 loved no.2 my fav disemboweled bread and sawtooth slice…always looking fwd to your posts. Thanks! The bread came out so funny looking, I’m afraid the pictures don’t quite do it justice. We were all staring at it, laughing. Oh how I laughed! This is a fab post Aneela. Thanks for truly opening up your kitchen to show us the epic fails. We all have them but rarely talk about them. 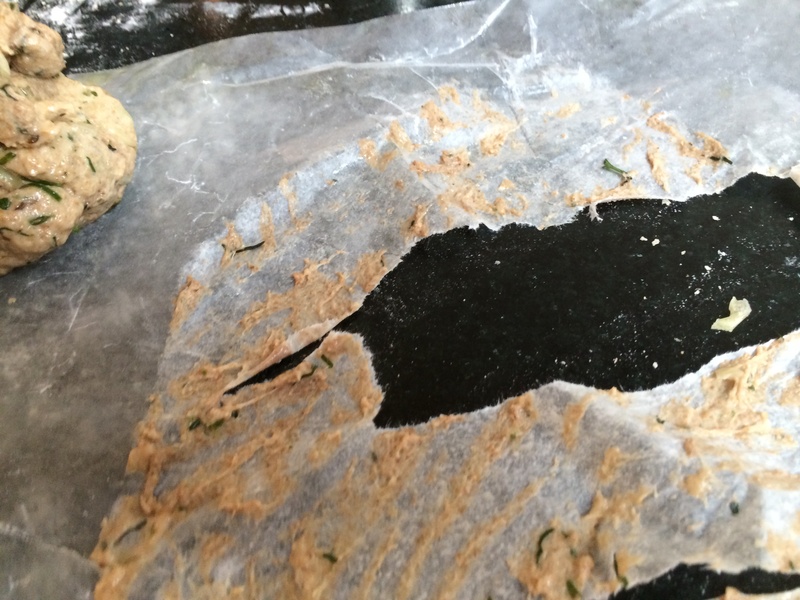 I can tell you I have done exactly the same thing when try to roll out dough between baking paper and it gets all sodden. Thanks for your fun tour! Thank you Selma! I’m never sure if I’m going to have a success or a disaster — but my love of new tastes drives me! Hi Aneela, I’m just wandering through the IMK posts and loved your post. Kitchen fails are always instructive for me, especially when dealing with things I’m just learning about, like making bread and using yeast. That bread does look funny on the outside, but the inside looks so good! Yes it tasted great! So there is that. The pictures look very familiar 🙂 Sticky dough is my favorite! I saw your blog and thought it had great recipes and awesome pictures! I therefore would like to invite you to our new culinary website which has just started. This is how it works in short. TastyQuery.com is a website for food bloggers and their fans allowing them to automatically collect recipes from your food blog. It’s a large database of links to recipes on food blogs. Everyone can join us for free. TastyQuery.com is an English version of our main website called “Mikser Kulinarny”, founded in Poland. “Mikser Kulinarny” has a large audience (over 2 mln unique visitors monthly) and with TastyQuery.com we want to repeat that success and drive thousands of new visitors to your food blog. In case of any questions, don’t hesitate to contact us.